The potential security vulnerabilities and the number of IoT devices are increasing exponentially. As a consequence, the way we go about testing these IoT devices also needs to change. 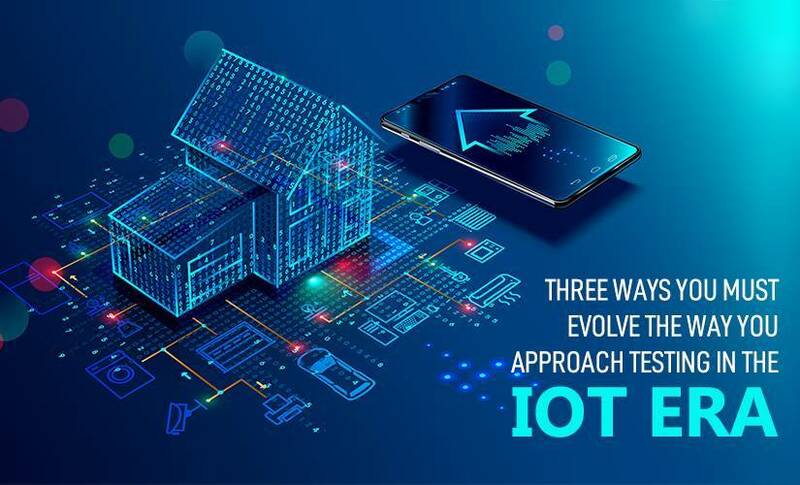 Keeping this scenario in mind, we are presenting you three ways you must evolve the way you approach testing in the IoT era. IoT is vulnerable to all sort of security attacks. These attacks happen because it has various points of connection and so much occurring within those connections. It becomes easy to lose sight of what causes and what doesn’t cause a security risk. However, if we move deeper into the IoT era, this requires to transform, and continuous security testing will play an imperative role in making this happen. Majority of the times these days, testing teams perform, load and security testing at the end of the development process. The development process or testing is often done after the completion of functional and unit tests. However, when you perform security testing, it becomes an additional step instead of something critical throughout. For the best security framework, testing teams are required to incorporate security testing into the software development process. As a result, it will occur more often and earlier. This sort of continuous security testing will just become even more significant as the degree of change for IoT software becomes quick. According to the recent survey of Fortune 500 CEOs, the rapid pace of cybersecurity and technology change are the highest concerns among CEOs. These two concerns undeniably play into one another in the IoT time. This is because as development teams start to move very fast and software becomes more unified. So, it is challenging to see all of the protocols in place and identify weaknesses. As a consequence, continuous security testing will become more and more essential to help security keep up with the speed of change in software. One of the most significant factors for success with test automation is to create an ambiance that is familiar to the production ambiance. Attaining this objective is extremely difficult in the IoT era. This beauty, which is going to be the selling of your product or service difficulty is because it is not frequent that all of the interconnected systems on which IoT apps depend are already available for testing. The interconnectedness of IoT means that there is a lot of work required to attain a proper testing environment, unlike a simple web page that just needs some protocols to be up and running. As a consequence of this challenge, it is a must to have a production-like virtual environment or service virtualization. The virtual environment might not be able to provide the same thing as the actual environment. Therefore, having an effective virtualization strategy is important for the IoT era because you will have to face regular blockages waiting on each important protocol to test one change. If you do not wait, there will be a lack of confidence in the security of every release. You need to pay so much attention to testing when it comes to IoT devices. As a consequence, when you associate the requirement for more continuous security testing with the objective of enhancing delivery speed, it is as significant to point of what should not be tested as it is to point out what should be tested. This process will assist in minimizing the concerns regarding maintaining appropriate test coverage and lessen pressure around tight deadlines. When you find areas of the software that you don’t require to test with every release, find out protocols that have already gone through security testing, and this will remain the same for the upcoming releases. If you can identify some areas like this, you are going to have an easier time arranging your test plan to meet an aggressive timeline and security goals.